Honeysuckle Ridge overnight rentals is family owned and operated by Howard Reagan and Family. We are located just 2.5 miles from downtown Pigeon Forge, or Gatlinburg, Tennessee, and open year-round. 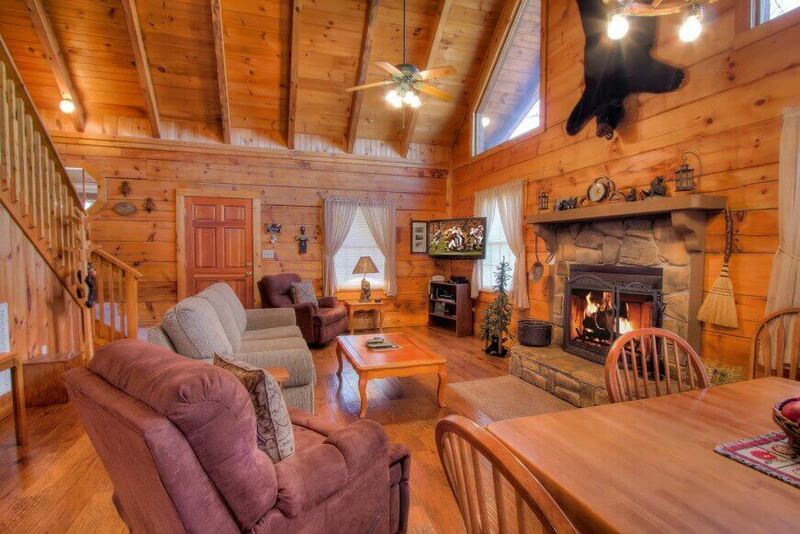 Our 1 and 2 bedroom cabins have great views of the Smoky Mountains and also feature a fireplace, Jacuzzi, fully furnished kitchen, satellite TV, gas grill, covered porch, and more. There is plenty to do here; shopping, Dollywood, horseback riding, country music shows, and miniature golf. Or if you are coming to relax and do nothing, our cabins are perfect. Just stock your kitchen and you will never have to leave your peaceful cabin in the mountains.